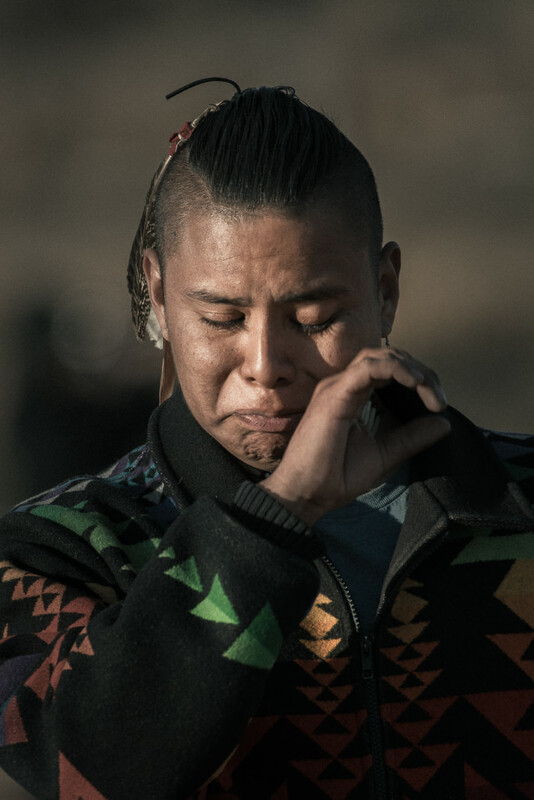 Fixico Akicita, member of the Muscogee-Creek Nation, brushes away tears as he speaks about the land as his mother. "This is our home. By choice because we choose to live this life this way...I made a commitment to the future generations. For the ones who aren't even here yet. If it means my life is in harms way, it's going to be okay."